Kinderclub ‘s ochtends in juli en augustus. 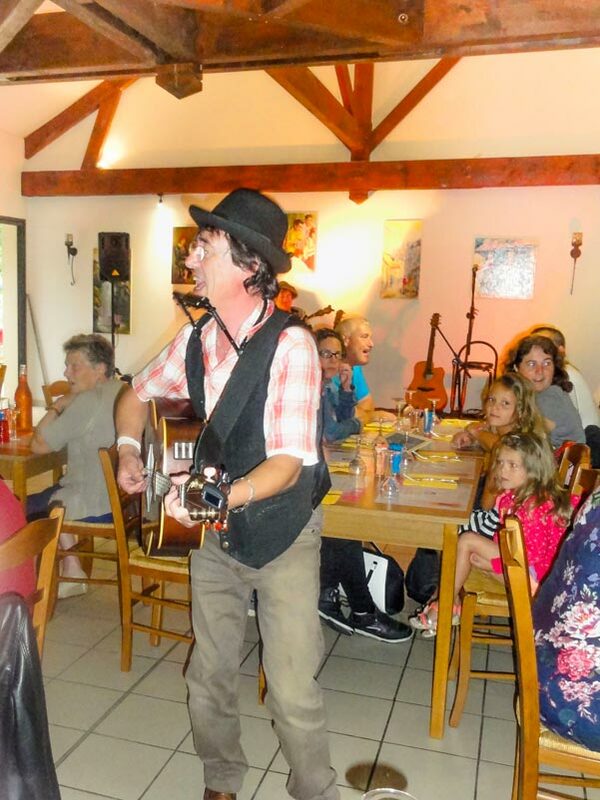 Entertainment en activiteiten voor volwassenen ‘s middags in juli en augustus. Le Thouet op 5 meter: een visrivier die vissers gelukkig maakt! 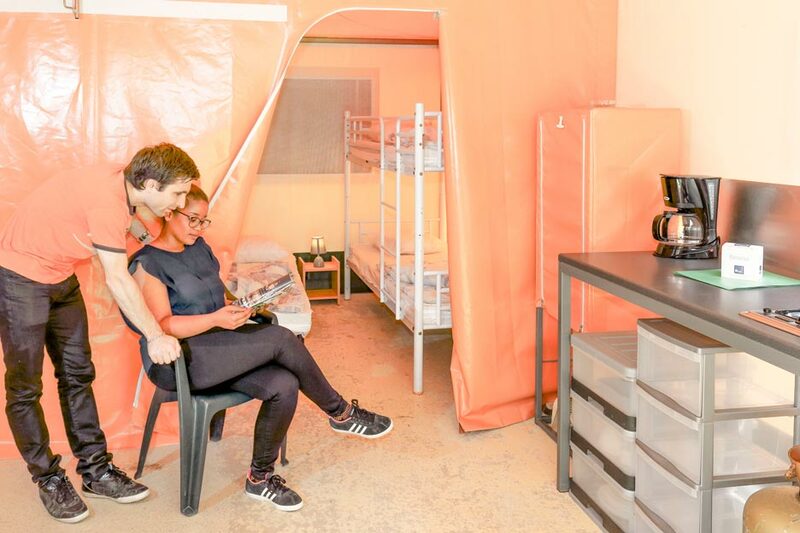 Kleine conciërgeservices om u te adviseren en u te helpen bij eventuele verzoeken. 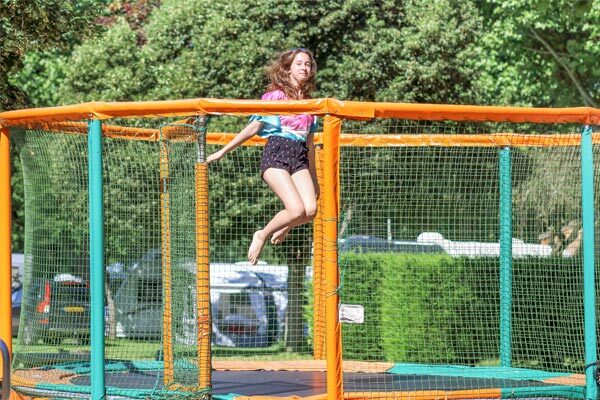 Play area and Mini Club for children, petanque, ping-pong and games room for parents, and heated pool with counter current, board games, family outings and themed evenings in season for everyone! 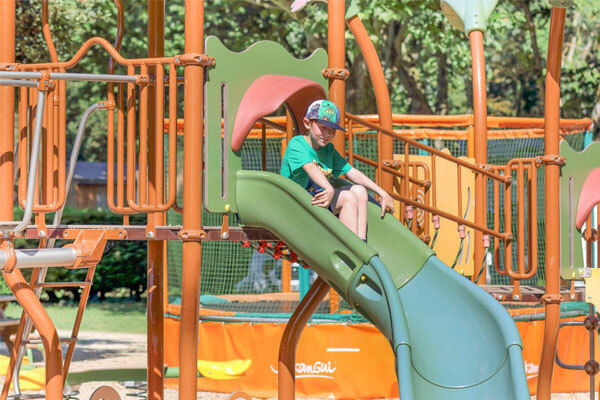 Enjoy the family-friendly atmosphere of our Les Nobis d’Anjou campsite and discover our activities for all tastes and recreation for the whole family, including cultural tours and nature tours in the Saumur region…Each season, our counselors offer a program that will delight both young and old. 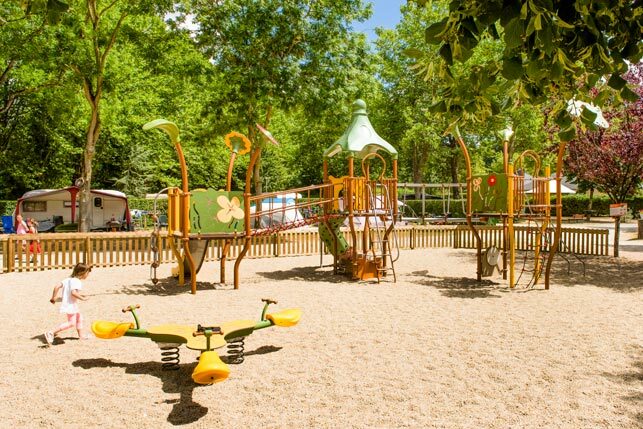 If you are planning an a la carte trip to the Saumurois, feel free to contact the campsite directly for more information on the activities and recreation available in Anjou, Touraine and Poitou. The campsite team presents the weekly activities at the welcome party on Sunday mornings. You don’t have to come, do your holiday on your own time! 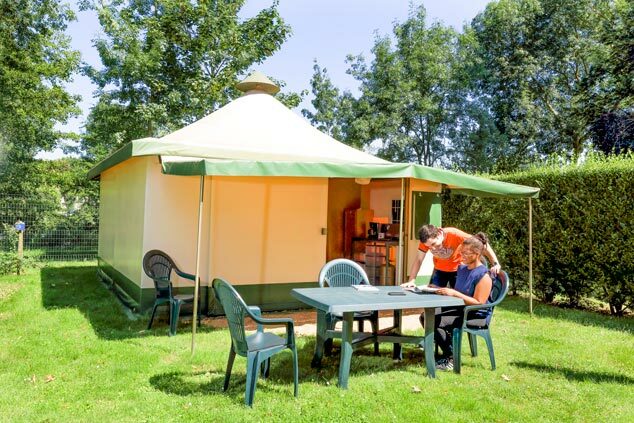 Petanque and ping-pong tournaments are organized on the campsite. This is the perfect opportunity to meet other campers and have fun! 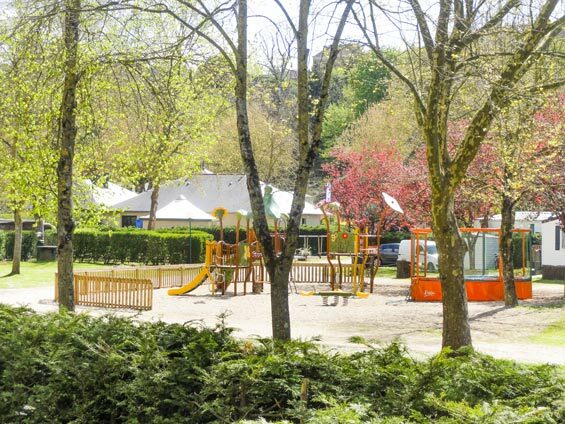 You can discover the local traditions during your holiday and learn how to play Boule de Fort (500 meters from the campsite): this traditional boules game from the Loire Valley is still often played in the Saumurois! A small market is held inside the campsite every Thursday evening in July and August. Perfect for taking an evening stroll and doing a little shopping, maybe for a bracelet, a souvenir or a Saumurois specialty! For fun between swims in the pool or when the sky is grey, the games room is a perfect place for teens to hang out. We have: foosball, pinball, arcade games, shuffleboard, and a billiards table in the bar. Not to mention our heated outdoor pool for taking a dip, swimming against the counter current, or tanning or relaxing on the terrace. 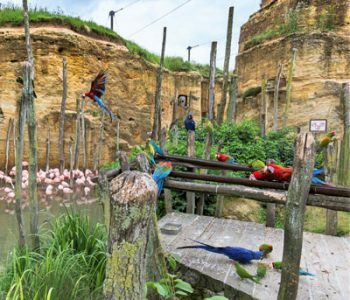 In July and August, we offer 1 or 2 parties, a great time to relax with family or friends! On the menu: themed evenings, happy hour games, karaoke, musical entertainment and dances for young and old ! 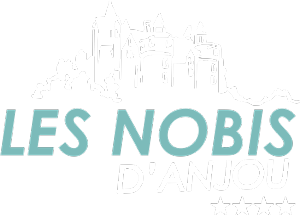 Camping at Saumur is child’s play, and we at Les Nobis d’Anjou have thought of everything for kids. 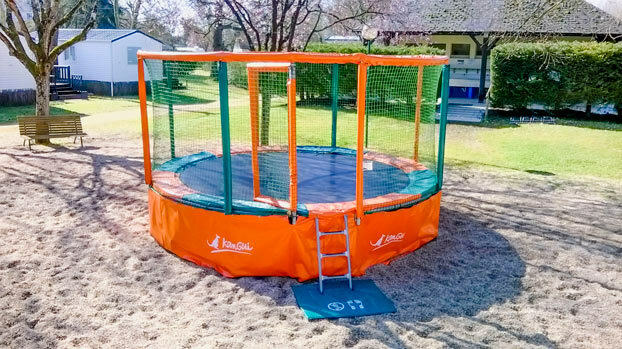 Between the play area, pool and Mini Club, children will love it here ! The Mini Club: have fun, explore and make new friends! The Kids Club, for ages 5-12, is open every morning* from 10:00 AM to 12:00 PM. 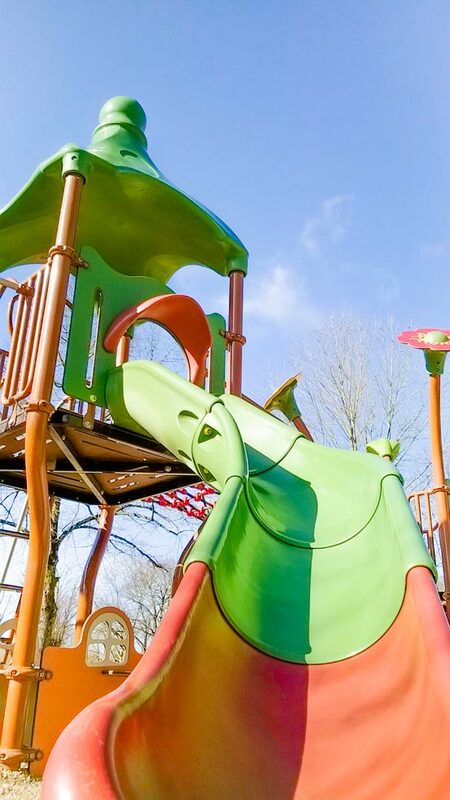 New in 2016: A big, fun play area for children ! 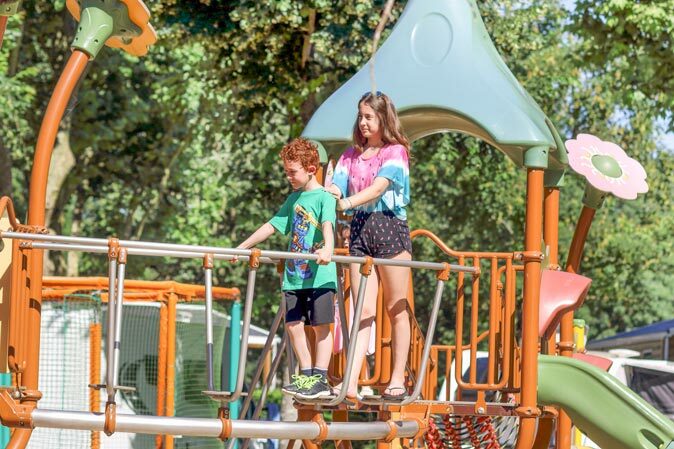 Children (ages 4-10) can have fun, challenge themselves and play make-believe at the play area with 3 towers and double slide, net and monkey bridge, teeter-totters on springs and the trampoline where they can jump for joy !